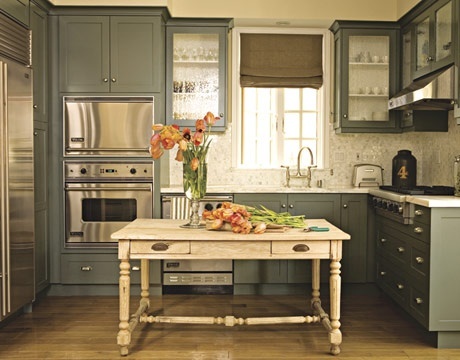 HUGE island makes an impression on this blue kitchen. Cabinets and islands are starting to look more and more like actual furniture in the kitchen. Proof that you can bring in your own island into a small kitchen. 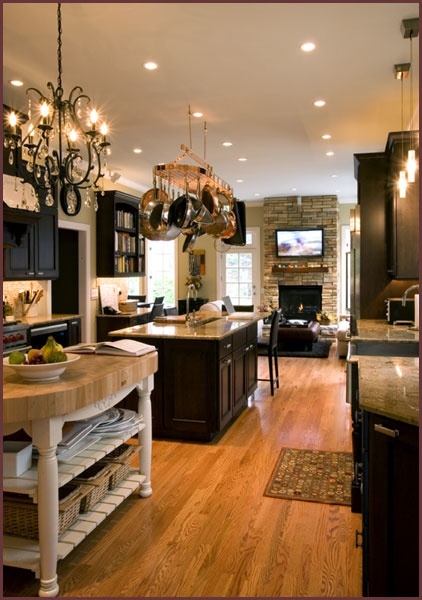 Thoughts on glass cabinets? The kitchen table is just built right on into the island… Great spot to watch the kiddos figure out their times tables while you make a veggie lasagna for dinner. 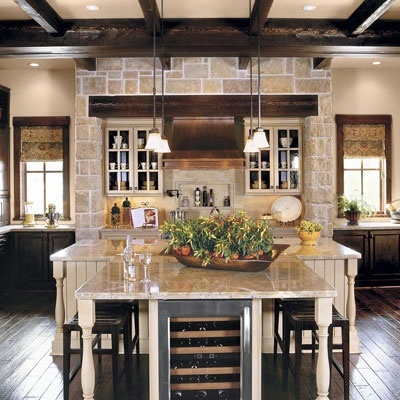 Exposed beams, copper hood, textured flooring and that warm sunshine coming in make this kitchen very inviting. 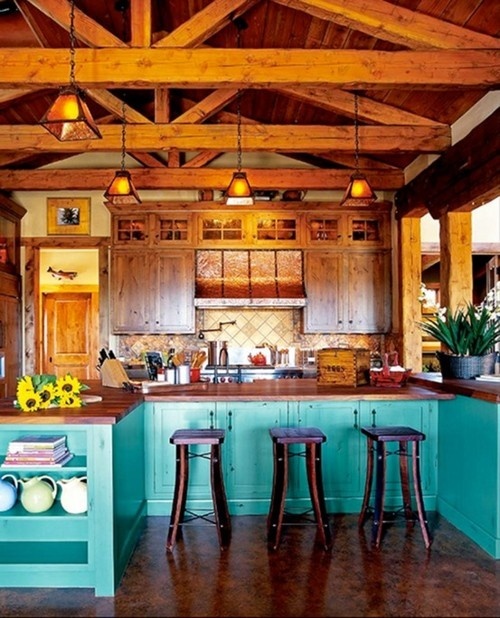 Okay, so I’m in love with this kitchen EXCEPT for those bar stools. I feel like in the presence of such a strong kitchen they should be a little more sturdy. Thoughts? This entry was posted in Room Files and tagged Kitchens. Bookmark the permalink.